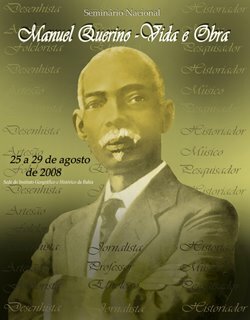 Manuel Raimundo Querino (1851-1923): Responding to Medical School dean's remarks on the "Bahian IQ"
Responding to Medical School dean's remarks on the "Bahian IQ"
It is with sadness that I read the comment made today by the gentleman from UFBA's School of Medicine. For the record, I know Salvador and Bahia very well, even having family there. What immediately strikes a reader is how the dear administrator shifts the blame for a scale of "2," thereby conveniently absolving himself of any responsibility. As to the question of IQ tests measuring ability/intelligence, the dear administrator is using a method one half a century old and which has been largely discarded because of its severe biases, including a pronounced racial bias (for more on this go to Google.Scholar, see Racial bias in testing Jencks - The Black-White Test Score Gap, 1998- books.google.com…... Content Bias Relabelling aptitude and intelligence tests can reduce concerns about racial bias, but it cannot settle the issue entirely. ...). Let me quote here nothing other than one often claimed to be a modern genius, Jay Gould (1974). Gould draws parallels between modern intelligence testing and the rather outdated practice of craniometry. Craniometry held that conclusions about intellectual capacities could be drawn from measurements of a person's skull. This was used to give existing prejudices a "scientific" stamp pf approval. Gould comments, "What craniometry was to the 19th century, intelligence testing has been to the twentieth. 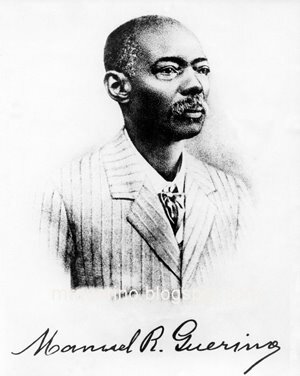 "In other words, this administrator, as Tom Ze observed, is hiding behind an out-dated and flawed North American (not even European) practiced method of measuring ability; but far more serious, in so doing he uses a tool heavily critiqued here in the United States for its anti-Afro American bias in a Brazilian state (Bahia) overwhelmingly of African origin and which, historically, has suffered the brunt of derogatory commentary from Paulistas and others in the Center-South of Brazil. I think the dear administrator should be led to the exit door at UFBA (without severance pay).